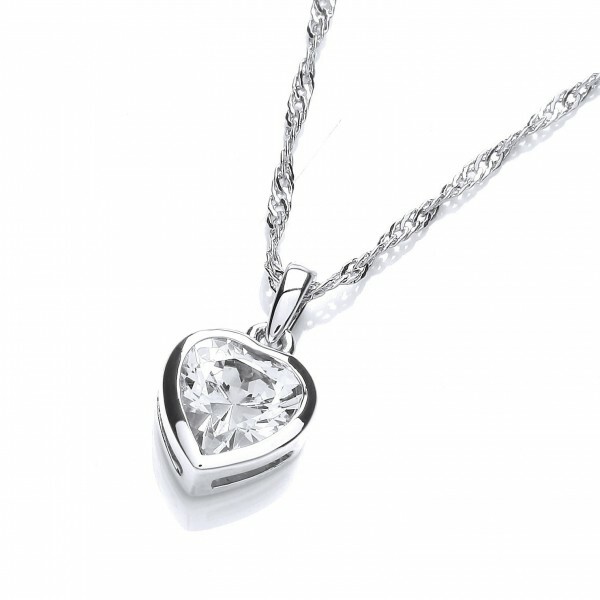 Timeless and elegant, this simple pendant, hand set with a flawless heart shaped cubic zirconia, suspended on an exquisite diamond cut twisted curb chain will add a subtle sparkle to any neckline. Chain length is 40cm with a 5cm extender chain. Matching earrings (CZE995) also available.